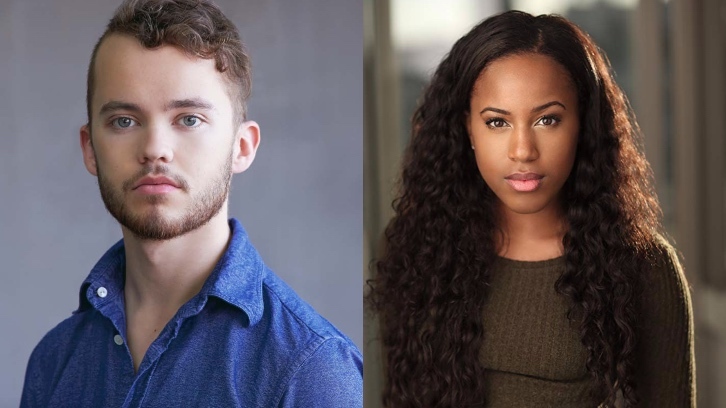 Thomas Mitchell Barnet (YouTube's Wayne) and Asha Bromfield (Riverdale) have joined the cast of Netflix's Locke & Key adaptation from Joe Hill, Carlton Cuse and IDW Entertainment per Deadline. Barnet will take on a series regular role whilst Bromfield will recur in the Netflix adaptation. Barnet will play Sam Lesser, a troubled, sensitive young man who longs for a connection and will go to desperate lengths to find one. His vulnerability makes him an easy target for Dodge's manipulation. Bromfield is Zadie, a spunky, horror nerd and lone female member of the "Savini Squad" — that is until Kinsey Locke arrives at Matheson Academy. Barnet and Bromfield join previously announced cast members Petrice Jones, Laysla De Oliveira, Kevin Alves, Darby Stanchfield, Griffin Gluck, Steven Williams, Sherri Saum, Emilia Jones, Connor Jessup & Jackson Robert Scott.